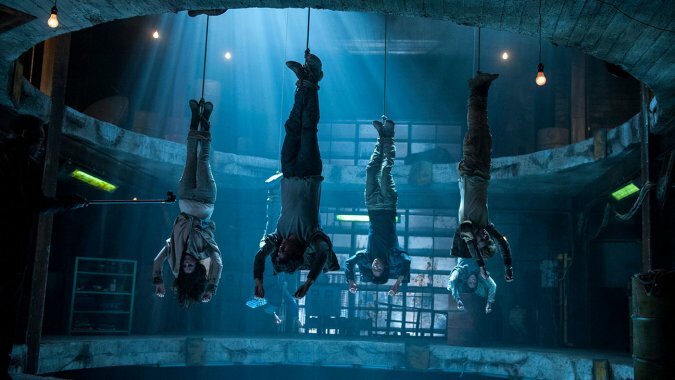 Writing a review for The Maze Runner: Scorch Trials is perhaps a somewhat superfluous exercise given that the there is nothing I (or anybody else for that matter) can say that would likely influence the decision of anybody with regard to whether they are going to see it or not. These types of movies are made safe in the knowledge that there is already a significant audience from amongst those who have read the texts on which they are based. Those who love the books written by James Dashner will no doubt have seen the first film in the series and will flock to this as well. Those who haven’t read the books but liked the first film will invariably check it out, while those who have neither read the books nor seen the first film are unlikely to find any reason to see this. Of course, it goes without saying that a familiarity with the texts and/or the first film (The Maze Runner) is kinda necessary if you really want to understand everything that is going on here. Helmed by Wes Ball, a graphic artist who made his feature directorial debut on the first instalment, this follow-up has everything you would expect from a post-apocalyptic dystopian science-fiction action piece targeted squarely at the young adult audience. This film ticks every box for the target market. In fact it seems as though the whole thing was put together in accordance with a checklist. A bunch of feisty teenagers taking on the big bad adults, tick; explosions, shoot-outs and chase sequences aplenty, tick; zombies, tick; at least one scene where the hero of the piece scampers through/under a closing door at the very last minute to escape the bad guys, tick. In the opening film, our intrepid moppets escaped from The Glade – a walled enclave surrounded by a maze inhabited by creatures known as grievers. 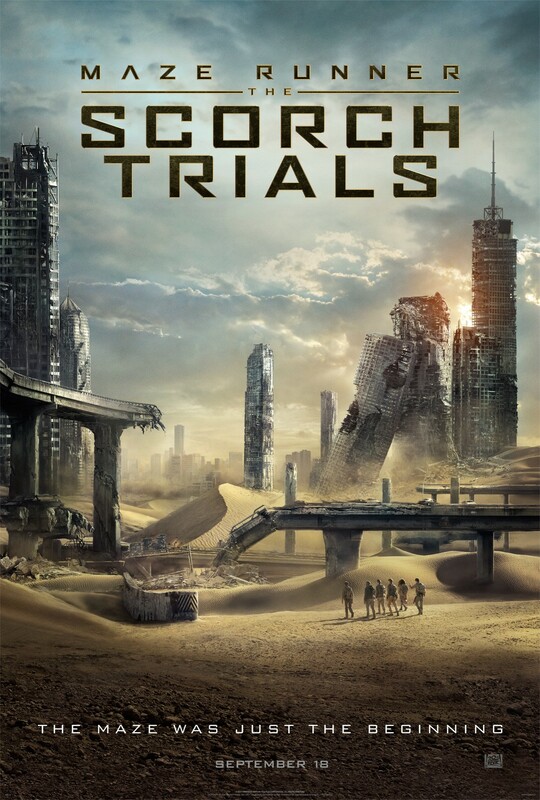 The Scorch Trials picks up with the group now being held by WCKD, a mysterious but obviously malevolent organisation that is using them for experimental purposes in a bid to find a cure for ‘The Flare’, a condition that transforms those afflicted into aggressive zombie-like beings. Anyway, the group, led by Thomas (Dylan O’Brien), escape their captors and set forth into The Scorch (otherwise known as the desert) in search of a group called The Right Arm, encountering a savage storm, an attack from WCKD and some ravenous zombies along the way. Needless to say, there is a traitor in the ranks and Ball has made no effort to keep this concealed, rendering the final reveal as a very underwhelming moment. I kept hoping that all the hints being dropped were simply a red herring or MacGuffin of some sort, but alas this was not to be. Whilst there are a few surprises along the way, much of what happens here has an air of predictability about it in that we always know – no matter how much danger they find themselves in – the key players will always survive to ensure their presence in the chapters to come (there are five books in the series). As is so often the case these days, there are several high profile performers confined to somewhat minor roles, such as Patricia Clarkson, Barry Pepper, Lili Taylor and Giancarlo Esposito in this instance. Aiden Gillen (TV’s The Wire and Game of Thrones) is suitably sinister as WCKD operative Jansen, with Rosa Salazar entering the fray as Brenda, a feisty young femme who finds herself in a battle with Teresa (Kaya Scodelario) for Thomas’ affections. It is all executed with a sufficiently satisfactory level of skill, with some genuinely exciting moments and some appropriately apocalyptic CGI-rendered landscapes, such as major city centres that lay empty, buckled and broken with skyscrapers having toppled and succumbed to the dunes and other forces of nature. Certainly, being free of the confines of The Glade allows for more sweeping vistas and a wider variety of threats and challenges for the group to endure, but it comes at the expense of character development and any sense of uniqueness as much of what happens could just as easily be something from the Divergent series or any of the myriad other YA dystopias that have been committed to page or screen.